At the risk of repeating myself, ad nauseum, may I beg your indulgence in reminding us all that the Gospel of Matthew is directed towards a particular people group: the nation of Israel. Each Gospel account has a different audience it is appealing to. The portrait of Jesus in this Gospel is specifically as the coming King of Israel, Who is intent on establishing the kingdom of Israel, once the sins of Israel were paid in full by His own Holy blood. Yet they rejected their Messiah – nevertheless, He paid for all of their sins, as well as for all the sins of the world. In these kingdom parables, the church is often seen as the subject, however, if one examines the text and rightly identifies who the church is, who Israel is, who the Gentiles are, then one can understand who these are in the parables of the kingdom of Israel. (1) As testing profession, MATT 25:1-13. (3) As testing the Gentile nations, MATT 25:31-46. The church of Jesus Christ is called His bride (REV 22:17) as well as a “chaste virgin to Christ” (2 COR 11:2). In this passage we see the bridegroom, who is identified as Christ Himself (MATT 9:15; JOHN 3:29) – and we see these ten virgins who are preparing to meet the bridegroom. The bride is nowhere revealed in this passage however, and I believe these ten virgins are the bride’s maids, who according to Jewish custom, attend to the bridegroom, and eventually bring him and the bride together at the time appointed. 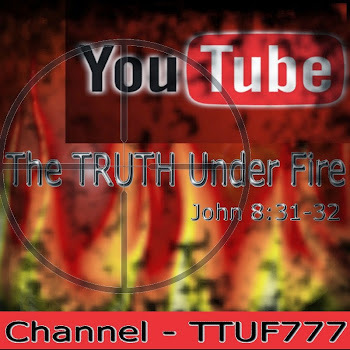 If one’s view of eschatology is pre-70th Week of Daniel (commonly referred to as ‘Pre-Trib’) – which is the position we at TTUF have – then we know that Israel is going through this period (“I will bring the third part through the fire”), also known as “the time of Jacob’s Trouble” (JER 30:7). We know that a remnant of Israel will endure to the end (ZECH 13:8-9), and that they will come to know Y’shua as their Messiah. There will however, be those who will not. The church is different, because in regards to the time of Jacob’s Trouble, the church is kept from that time (REV 3:10). Those who place faith in the coming Messiah will of course possess the Holy Spirit (here represented by the oil contained in their lamps); and of course, the others who have lamps but no oil will be those "with a form of godliness" (the lamp) but none of the power (the oil; see 2 TIM 3:5). It’s worthy of note that while there were those who possessed the oil (the Spirit) and yet these, like the others who had no oil, all fell asleep while waiting for the arrival of the bridegroom. Scripture admonishes us not to sleep, but be watchful and in prayer regarding the time of our LORD’s return (1 THESS 5:1-8; MARK 13:37). As a Christian, approaching 40 years in the LORD, I am amazed at how the fervent zeal for prophecy has grown cold. As a new believer in Christ, prophecy conferences were in abundance, Christians excitedly read Scripture and “cross-referenced” it with the evening news. People were enthusiastic and expectant for the LORD’s return! Not so much today – today it seems that the church is asleep, not watchful, not praying or being attentive – and yet the occurrence of prophetically significant events is at an all-time high! The same condition as we see in the church today, will be seen in the nation of Israel during the time of Jacob’s Trouble – some will be prepared to meet their Messiah, looking expectantly for Him, while others will not. 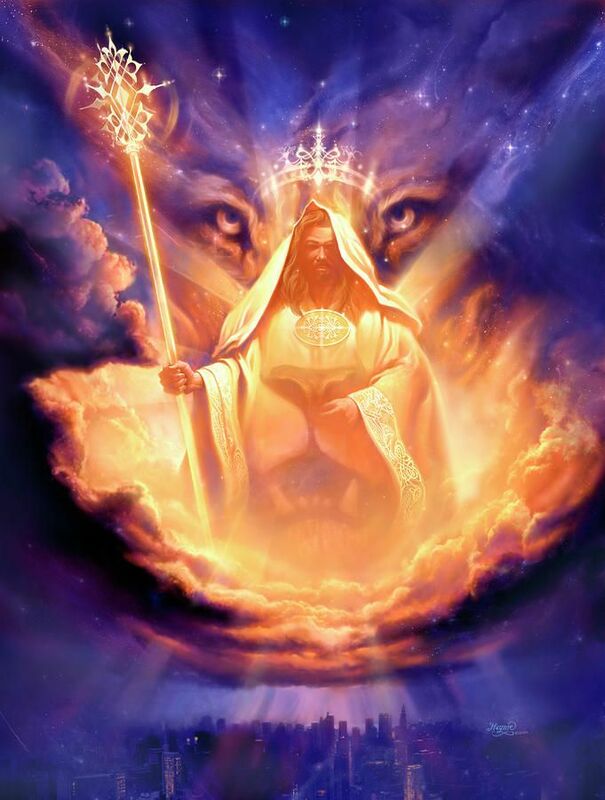 The LORD Jesus shall come, with all His mighty angels on that day of His Second Coming (2 THESS 1:7) – but of all the nation of Israel, only some will be prepared, having received salvation and the indwelling Spirit – just as the church has been blessed by that same indwelling in the prior dispensation of the church. The lamps of those unprepared went out, and they desired for those who had some still, to share, but as we know, the Spirit of the LORD is not something one can impart to another – it is an act of God Who responds to the repentant heart and seeks Jesus Christ, the Lamb of God for salvation. Obviously for the sake of this parable, it is demonstrated that those who do not have the Spirit must “. . . go rather to them that sell and buy . . .”. We understand that the Holy Spirit is not ‘for sale’ nor is His power (ACTS 8:20). What must be done to receive this oil is to receive by grace, the gift of eternal life through the LORD Jesus Christ (ZECH 4:2-6, 12-14; ROM 6:23). Sadly, only those who were prepared could enter in; those who were ‘half-ready’ were not allowed in. Certainly there is an application for the church in this parable. While it is directed to Israel, we may learn valuable lessons from it. There is coming a time when the LORD is coming back for His church – no one today knows the day or the hour, but the times and the seasons only. For those of us who are praying and watching, we know that we are in that season of the LORD’s return for His bride! We are to be ready – to make sure of our salvation (2 COR 13:5), and prepared to meet the LORD at any time (TITUS 2:13). There are those who hear such things however, that have been made aware of the prophecies of Christ’s arrival, but have nonetheless, done little – if anything – to prepare for it. Scripture admonishes us not to harden our hearts (through the deceitfulness of sin) but to enter into the (sabbath) rest that is the LORD Himself. To lay down any “dead works” or efforts in a vain attempt to earn one’s own salvation, but to receive freely the salvation offered by Christ and His grace (HEB 8:7-19). There is not one true member of the body of Christ that the LORD would say these dreadful words to. Note what the LORD doesn’t say, “Once I knew you, but no longer”. He simply says, “I know you not.” For those false prophets in MATT 7:23, He rejects them, saying “I never knew you”. Clearly there are those who’ve made a profession of faith, yet have no real possession of the faith resulting in genuine salvation. There has been and still is a ‘mixed multitude’ in, what is known as, “the visible church”. Yet just as the LORD will declare this ominous proclamation to those who are “the churched” but not the saved – so too will He express this tragic statement to those of Israel who have not embraced the Messiah. We ought not to become lethargic spiritually and stupefied, unaware of the prophetic signs of the LORD’s return – but to be prepared and ready for His appearing – keeping our lamps with oil, born of and walking in the Spirit of God, living our lives by the provisional grace of the LORD Jesus Christ. Another parable involving the Kingdom of heaven, regarding the testing of the professing believer’s service. The delivering of the goods by this man, Who is Christ, to his servants is the granting of gifts, abilities, knowledge and understanding in the Word, certainly the Gospel message as well as any physical, intellectual and financial blessings. When we come to Christ, we offer our hearts, our very lives, all that we possess in our human faculties and materials. We no longer belong to ourselves any more than our properties and finances belong to us; we are now stewards of the LORD’s belongings, and care for them in His Name, and render them back to Him whenever, where ever He calls for them. He imparts to us these blessings as He wills (“according to his several ability”): to some more (five talents) and to others somewhat less (two talents) and still others the least (1). Yet whether we are granted a greater number or lesser, whatever we find in our hands and hearts, graciously bestowed by God, we ought to work these things with all our might to the glory of God (ECCL 9:10). Let us not be jealous of those who seem to have greater numbers or qualities of abilities than us; because to whom much is given, much is required (LUKE 12:48). If the LORD has given you just one talent – a single gifting – then do that with all of your might: you will be required to give an account on how effectively faithful you were in the operation of that ministry to the LORD. Others who are granted more, will be accountable for more. In the industry of faithful saints serving the LORD, there will be a productivity provided for by the grace of God and the ability He grants to do so (1 COR 15:10) and as we abide in Christ – reading and studying His Word devotionally as well as practically (in practice), in prayer and worship, following our LORD Jesus where ever He leads (JOHN 15:1-5,8). 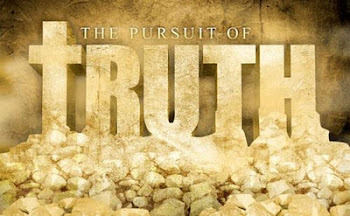 Here we find two faithful servants who produced by God’s grace twice as much as they were given – yet there was one that didn’t produce at all – and in fact, didn’t even keep it in his possession, but disparaged it enough to bury it in dirt! “A long time” – The LORD is not slow in fulfilling His promise to return, but is patiently waiting for souls to repent and turn to Him for salvation (2 PETER 3:9), and it is that wicked servant that believes the LORD isn’t coming back ‘any time soon’ – and persists in this belief for years, decades even (when He specifically told us to be ready at any time; MATT 24:42-51)! There are critics and skeptics who mock the LORD’s words regarding His Second Advent, quoting what He said about “coming quickly” (REV 3:11; 22:12) when it’s been about 2000 years since He left; but what is referred to here is the manner of His return – it will occur with suddenness, an instantaneous arrival such as lightning flashing across the sky (MATT 24:27). By the time He arrives, it will be too late to repent and believe the Gospel. Notice here, that this servant receives a commendation exactly the same as the former – the LORD says, “well done” and “good and faithful servant”, though he didn’t produce even 50% (quantitatively speaking) of what the first servant produced. The LORD isn’t interested so much in quantity, as quality – faithfulness over industry. To both of these servants, the LORD not only gave them commendation, but promotion – they had been faithful over a few things, and He has made them ruler over many things; in LUKE’s parallel parable (LUKE 19:17), it states that they are given authority over cities! Such is the way of leadership and greatness in the Kingdom of God, by way of service, done ‘Jesus Style’ (MATT 20:25-28; LUKE 22:25-30)! Now here we have a servant who received 1/5th of that which the first servant received. The first two were faithful and diligent in their work for the LORD, but not so with this last one. He didn’t put forth any effort whatsoever, but simply took what he received and buried it in the dirt! And look at what he says to the LORD: That he claimed to know what kind of Lord He is: “a hard man” or in the Greek skleros – fierce, hard, dry, tough, severe, one who takes a serious approach to life and is rough, harsh, inhuman, uncivil in his moral nature” – he also says that He reaps where He had not sown, and gathered where He had not strawed. The latter half of what he said, the LORD agreed with, but He doesn’t confess to being a “hard man” – another aspect of skleros is to be “rough, disagreeable to the touch” – who but an unsaved person would find JESUS disagreeable to the touch??! It is the longing of every saint to touch the LORD in our prayers, and love and devotion, and to be touched by Him! That is heaven! Amen? Since it is the LORD Who made us, given us our skills, abilities, gifts, as well as the Spirit of God, the gifts and fruit of the Spirit, the Word of God, and everything else – is it not right that He should reap where He ‘did not sow’? This last servant had no gratitude for receiving this talent from the LORD, nor for the honor of serving Him and His kingdom! He disparaged the offering of this talent and just buried it. He couldn’t even bother to deposit it in the bank (“the exchangers”) to let it draw interest (“usury”)! And notice what he said – “. . . I was afraid. . .” Scripture states that of those who are cast alive into the lake of fire, the first two categories are “. . . the fearful and unbelieving . . .” (REV 21:8). To have a proper fear of the LORD is to reverence and honor Him above anyone or anything else, and this is something that purifies us as His saints (PSALM 19:9); but this kind of fear is the sort that sinners have – who would run away from Him and hide from His holiness (GEN 3:10; REV 6:16). Sin and a wrong heart will always cause us to hide from the LORD in fear. 29 For unto everyone that hath shall be given, and he shall have abundance: but from him that hath not shall be taken away even that which he hath. The LORD issues a command then, to take the one talent and give it to the first servant who had ten talents – did you notice what He said? Give it to the one who has ten talents! Am I reading this right? It sounds like the LORD not only is making this servant into a ruler “over many things” but that he is also granting those ten talents to keep, plus one! THIS is a “hard man”?? On the contrary! Our LORD is a gracious, generous, tender-hearted, loving, kind, thoughtful, giving LORD Who “daily loads us with benefits” (PSALM 68:19)! For those who express an allegiance and devotion to, a love and delight for the LORD, to them they are granted the ability to work in His Kingdom and produce – all by abiding in His Word and His love (JOHN 15:4-5, 7,10) – not only will they receive a reward for producing quality work, motivated by love for God (1 COR 13:1-3) and His enabling Spirit of grace (1 COR 3:12; 15:10) but they shall be lavished upon even further – talk about God’s grace being amazing! And as for the unprofitable servant, the LORD stated that this man is wicked (vs. 26) and that he is unprofitable – and his doom is to be cast “into outer darkness”! It is the same place as the man who was invited to the marriage feast, but arrived without the offered wedding garment, issued by the King Himself (MATT 22:13; ISAIAH 61:10) – he likewise was cast “into outer darkness” where there is “weeping and gnashing of teeth”. Where is this “outer darkness”? And who is being cast there? The five virgins who had no oil, they were not permitted into the marriage celebration. If these three parables are linked together, then the third “wicked (unprofitable) servant” in the second parable, would likewise have ‘no oil’ that is, no genuine salvation, but mere profession. And he is cast into this outer darkness. The man having no wedding garment was also cast into outer darkness – that garment representing the wardrobe granted to us by the grace of God (ISAIAH 61:10). In MATT 13, it is the tares (false professors of faith) that are gathered, burned in the fire and there shall be “wailing and gnashing of teeth” (vs. 42, 50). If there is consistency in these parables of the kingdom of heaven, then these who are rejected of the LORD are all wailing/weeping and gnashing their teeth for the same reasons – being cast into outer darkness and “a furnace of fire”. While other interpretations as to what “the outer darkness” represents has some amount of support, such support significantly less in my current understanding, than the plain straight-forward meaning from the text. Once again, these parables follow the LORD’s explanation of last days events as given in chapter 24 of MATTHEW (let us be reminded that the chapter breaks are man-made, not inspired, and the same with the verses, so the subject matter between 24 and 25 is certainly related). Chapter 24 was all about the time of Jacob’s Trouble and the LORD’s return immediately after that seven-year period. These three parables are kingdom parables that involves the LORD’s departure after His first advent (MATT 25:14-15), the time of the church and regathered Israel (and a faithful remnant of Jews who will come to faith during Daniel’s 70th week) and the work we saints do for the LORD while He is away (MATT 25:1-5, 15-17) and the LORD’s return as Judge of the whole Earth (MATT 25:31-33). Verse 31 speaks of His “throne of glory” which very likely will be the throne of David as promised by Gabriel to Mary (LUKE 1:32), in Jerusalem, to commence the Millennial Reign of the Messiah of Israel, which starts out by this ‘sorting through nations’, dividing them up into two categories. And what is the criteria for this division? I believe it is how the various nations treated the people of Israel during the time of tribulation. See EPH 2:8-9; 2 TIM 1:9; TITUS 3:5. So do we have a contradiction here? Not at all . . . Here we have faith and works that demonstrate faith explained. Genuine faith in God will allow God to work on the heart of the new-born believer in this New Testament period we now live in. And the just have always lived by faith; emphasis on lived. It wasn’t for religious show, or for bolstering one’s self esteem, or in trying to ‘win brownie points towards heaven’. Saints by faith lived a life that was granted by God, and that life which is eternal is by the same Spirit that bears fruit in that life. So what James is saying in a paraphrased sort of way is, “Talk is cheap. Anyone can say that they have faith – but how can you tell if their faith is real by just looking at them, hearing them declare their faith before others? “Can anyone demonstrate faith without showing it in some way? If you tell me you’re not afraid of the dark, but fail to step into that dark cellar alone – what have you proven? On the other hand, if you did walk down those stairs and we slammed the door on you and left you in complete and utter darkness for an hour, then finally opened the door, flicked on the light, and saw you standing in the middle of the room all calm, cool and collected, then we'd know you’re not afraid of the dark. Likewise, these “sheep” at the LORD’s return have demonstrated their faith in God, by caring about God’s people, Israel – who will endure the greatest time of suffering in all of their history, past and future (MATT 24:21). There will be people from all nations that will have compassion upon these, “the least of these [His] brethren” and minister to them in their abject suffering and anguish. How is this possible when the rise of anti-Semitism is greater now than ever? God by His Spirit will have to move upon the hearts of the Gentile people (a comparative minority in all probability) who will grant aid to the Jewish people. And when the King arrives, they will be stunned to learn that while they ministered to the people of Israel, they were really ministering to the King of Israel, the LORD Jesus Christ! These saved Gentiles shall inherit the Kingdom – the Millennial Reign of Christ – just as the LORD declared the same concerning the Roman centurion, whose faith was so great, that it even caused Jesus to marvel (MATT 8:10-12; note “many” in vs. 11)! And of course, in this passage we have the obverse situation. Here the LORD declares these people as goats and condemns them for their lack of faith, and for no evidence for such, casts them into “everlasting punishment” whereas the righteous are granted life eternal. Most of this world goes on, day after day, with little or no thought for the destiny of their immortal soul. They are mindful of their finances, employment, possessions, their bodies, their minds and all sorts of temporal things – but give no regard to any coming Judgment that they will face before the Living God. Their unbelief will do nothing to impede the approach of this Judgment and it is coming. The wild-eyed fanatical prophet with the proverbial placard hanging from his neck that reads, “REPENT FOR THE END IS NEAR!” is not wrong – it’s just a matter of time, and time for this weary world of wickedness is just about up. And once Judgment Day comes, there will be no ‘do-overs’ in life for those who will stand before the JUDGE.